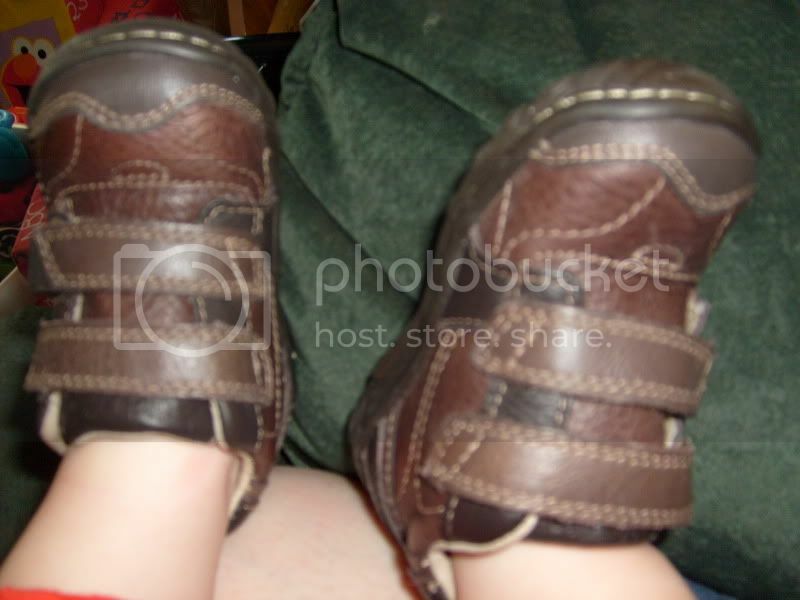 Here's a pic of his new shoes. AWWWWWWWW! I LOVE his pajamas! He is sooo adorable! :D gosh! awwwwww!